Two Chicks On Books: Blog Tour- Spies and Prejudice by Talia Vance and a Giveaway! 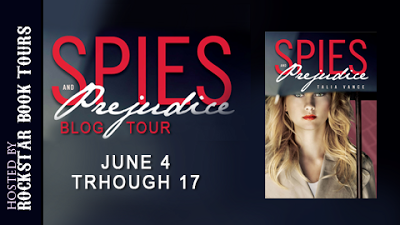 Blog Tour- Spies and Prejudice by Talia Vance and a Giveaway! Hey y’all! I have an awesome music post for you today! 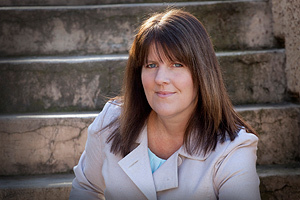 Talia Vance author of the amazing Bandia Series from Flux Books (which I love!) 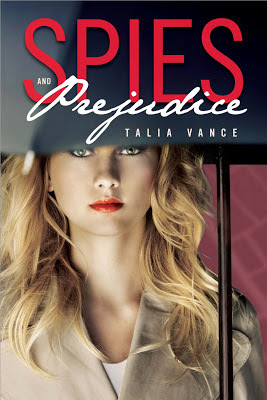 has a new book coming out from Egmont USA called Spies and Prejudice! Talia stopped by to share her playlist and I love her song choices! Ooh also and there’s an awesome giveaway so check below and enter! On to the awesome post and of course there will be YouTube videos for my favorite songs! I always write to music, and finding the right soundtrack for a novel is one of my favorite parts of the writing process. Since Spies and Prejudice has a lot of attitude and humor, I gravitated toward a lot of snarky pop songs and songs about characters in denial. It was a fun soundtrack to listen to, and really set the tone for a lot of the novel. This song exemplifies Berry and Tanner’s relationship to me, since neither one of them wants to fall in love. There’s an attitude to this song, but also a certain inevitability about it that I love. Berry isn’t the only character keeping secrets, and this song has a competitive spirit to it that worked well for Berry and Tanner’s early sparring. Berry is so used to taking care of herself and so afraid to let anyone close to her heart, that she doesn’t trust anyone. This song really helped me connect to the vulnerable side of her, the side that needs someone to hold her and tell her everything is going to be okay, even if she doesn’t realize it. This song is about beginnings, and I think Berry and Tanner’s relationship really begins for them the night of the homecoming dance. It’s the first time that they both let their guard down and get a glimpse of how good they are together. It’s the moment they fall in love- they just don’t know it yet. This poppy dance anthem is a break up song full of attitude. This is Berry after she learns Tanner’s secret just as she’s starting to trust him, after he insults her with his ill-fated declaration of love. This song makes me think of Tanner after Berry rejects his declaration of love. The lyrics don’t fit exactly, but I love the combination of frustration and desire that comes through in this upbeat pop song. This song always makes me smile and think of Tanner in the middle of Spies. This is Berry’s love song, a realization that she’s found a way to Tanner, even though it means giving up what she thought she needed. This is one of the more romantic songs on the playlist, and it’s Tanner’s love song. Swoon. And this acoustic version is doubly romantic. This song is for a scene that isn’t actually in the book, but one that I imagine takes place months later, when Tanner and Berry no longer have any barriers between them and can be honest about their feelings for each other. This is where I see them headed at the end. This song is the song that I imagine would play over the credits if Spies were a movie. It has just right the tone for the end of the book, a defining moment kind of song, with just the right amount of self-realization, self-deprecation and emotional resonance. Thanks for the awesome playlist Talia! Now on to the book info and the giveaway! 3 winners will receive 1 Hardcover of Spies and Prejudice and a T-Shirt. My favorite Jane Austen books are Mansfield Park, Persuasion, and Lady Susan, The Watsons, Sanditon. I think they really show a bit of the variety of her writing yet also how you can always tell it's Jane Austen in the writing seat (which is always a good thing!). Thank you for the chance to enter the giveaway and I hope everyone has a wonderful day/night! Like most people, I guess my favorite is Pride and Prejudice. Thanks. My favorite is definitely ride & Prejudice. Add spies and it looks to me like we have a winner! While I'm not really a fan of Austen (it's not personal, I just can't like any of her characters) the one I like the most would be Sense and Sensibility. Mmmm my favorite one is probably Proud and Prejudice, it's great! I love Pride and Prejudice best, followed by Sense and Sensibility and Persuasion. And I love Austen-inspired fiction! So this is so typical, but Pride and Prejudice. *le shrug* Can't help it. Pride and Prejudice but Sense and Sensibility rates, too! I'd probably say Pride and Prejudice. I love Pride and Prejudice, and recently I really loved The Lizzie Benett Diaries. It was a great adaptation. Definitely Pride and Predjudice. Both the book and the older movie with Colin Firth. Love it!! I don't really get into classics that much, but I've heard that Emma is pretty good. The books sound interesting. Thanks for the giveaway!